Fun and funky cat or dog key toppers are a great way to keep your keys organized and distinguish quickly between multiple keys for home and work. 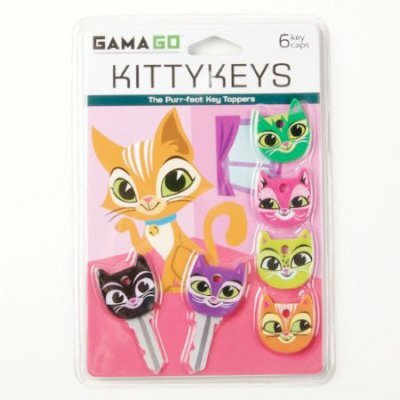 The adorable cat or dog plastic faces slip over the top of standard-sized keys to make each key unique and easy to see. Rubbery plastic material also minimizes key jingle. Sold in packs of six, these smiling faces add a bit of fun to your day. 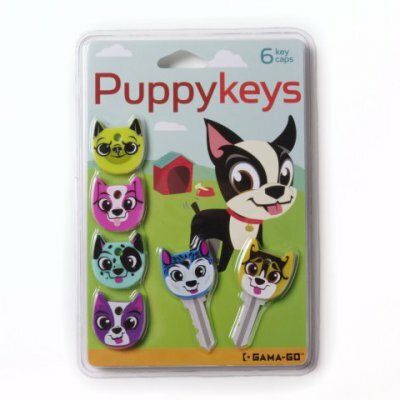 For more information about kitty keys and puppy keys, click here.